MAPC is pleased to provide you with the following resources developed by MAPC or our community partners. As it is not an exhaustive list, please feel free to contact MAPC if you need further assistance. 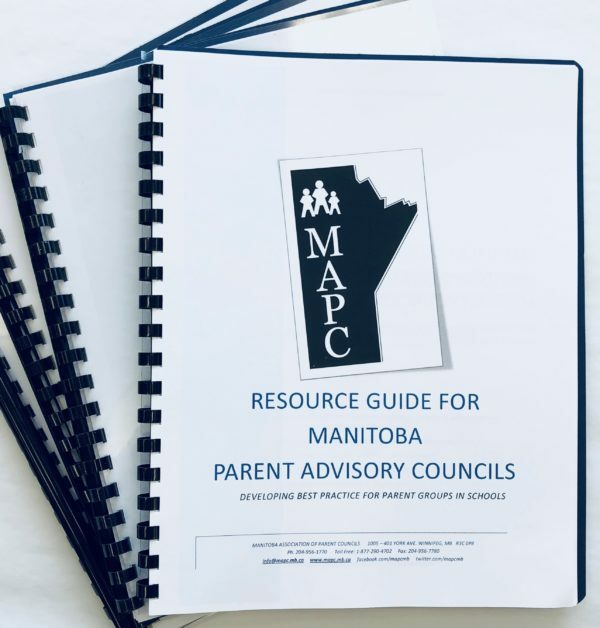 MAPC members receive a free copy of our Resource Guide for Manitoba Parent Advisory Councils, which serve as a starting point for conversations, and as a template for partnership development and relationship building within a school system. February is National Inclusive Education Month! View presentations by past event facilitators.